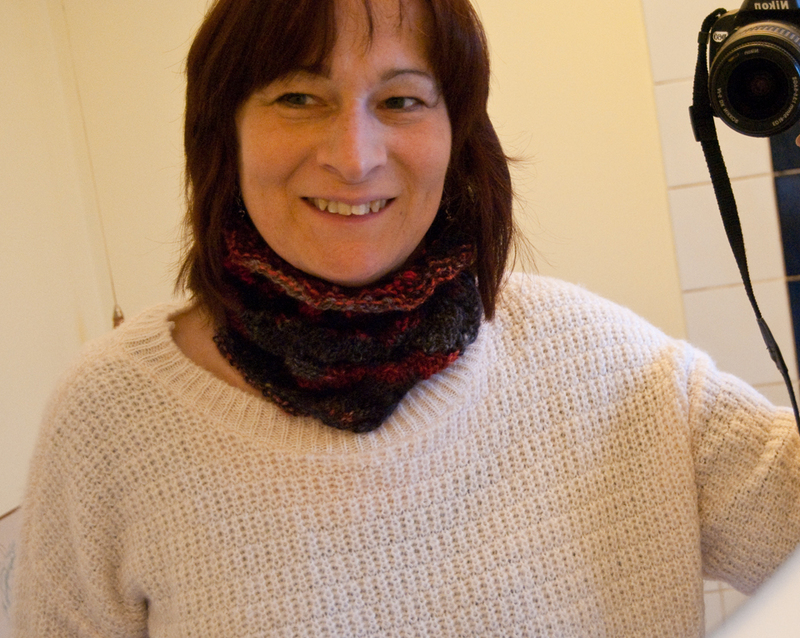 Stitchin' Bints: Shepherdess cowl - I'm keeping this one! I popped this on straight off the needles and it's so cosy and comfy I don't think I'll be taking it off at all until Spring. The person I've made it for will be waiting till I've made another. Having said that, I see from my Ravelry project page that it's only taken a week of not-very-intensive work from sorting the fleece through carding, dyeing and knitting. 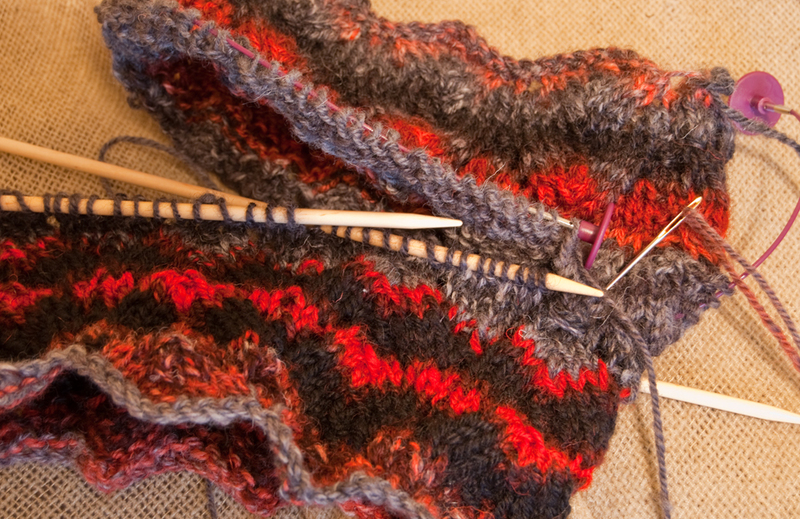 A new skill learned too - Kitchener stitch. Which I'd like to think was invented by WW1 Secretary of State Lord Kitchener. This type of cowl is made in two mirror-image halves which you graft together using Kitchener stitch. 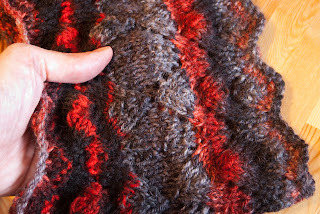 I used this tutorial on the Knitty site. It was dead easy, and as Theresa Vinson Stenersen says, you soon get into a steady rhythm. As intended, the horseshoe lace pattern has matches up point-to-point and it's difficult to see the join! The pattern is Crofter's Cowl by Gudrun Johnston I've used 5mm needles and a fairly chunky yarn (chain-pied for a little extra thickness and to concentrate the colours). I started with a circular as suggested in the pattern but switched to DPNs because I'm more comfortable with those for a small round. The Knitpro interchangeable cable with its end stops was useful for holding the live stitches.